On turning 70, I can only tell you that I believe we can age gracefully, not fighting or denying the fact that your energy level does go down a bit. It’s even more important remaining physically active and appreciating this stage of life as a new adventure. I appreciate the little girl that still lives in me, who always wants to know and see what’s beyond the bend in the road, and figure a way to get there. I am deeply grateful that my younger self had the courage to do things that were not easy, or comfortable at times. I’m grateful for my friends, family, and those strong women who helped me stay on the path. I’ve personally never thought of aging as beauty-related, even though I’m in the beauty business. I’ve always related aging to experience, lessons learned, and wisdom gained. When I look in the mirror as a 70 year old, I never think, ‘Wow, I look older and my skin doesn’t look like it did in my twenties’. I just see me at the current stage of who I am today. I reflect on what I’ve been able to accomplish over the years and what I still hope to accomplish over the next year. To me, aging is a beautiful part of life’s progression towards learning and becoming a better version of ourselves. It’s about being in good health, caring about your happiness, and staying fit. Beauty products will help, but they are only a part of keeping the whole body and mind in shape. Fresh unprocessed food, a lot of movement, de-stressing rituals, spa treatments, a good night’s sleep, and good skin care products are the right combination for me. Aging is beauty, we should embrace it. My journey as a skin healer grew from having bad skin, so learning about self-love and care, to gravitating towards internal wellness of the mind and body brought me to where I am today. Beauty is not reflected by age, it’s reflected by the health of your energy from within, revealing your inner light. Kendall (my granddaughter) and I will be going to Vietnam in April with Operation Smile. And congratulations to Kendall on her graduation from Auburn University, class of 2018! 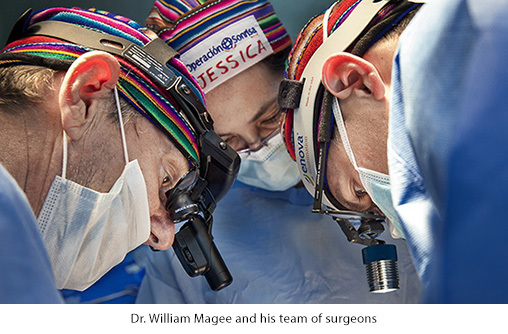 While I have never been on an Operation Smile medical mission before, I have always felt a deep connection to this group of doctors who travel to third world countries and provide life-saving reconstructive cleft surgeries. These volunteers give babies around the world a chance to live normal lives that are healthier and more fulfilling. A child’s cleft lip or palate can be repaired for $240, and in as few as 45 minutes. Kendall is 22 and is pursuing a medical career. Nothing makes me happier than joining Dr. William Magee and his wife, Kathleen Magee (a nurse and clinical social worker) on this mission. 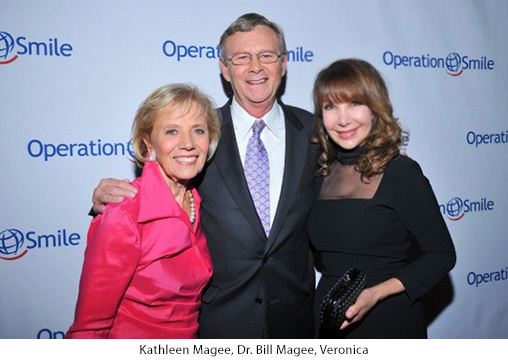 They founded Operation Smile in1982, and have dedicated their lives to helping children with cleft palates. They saw a need and Operation Smile was born. Kendall and I are honored to be going on this mission. 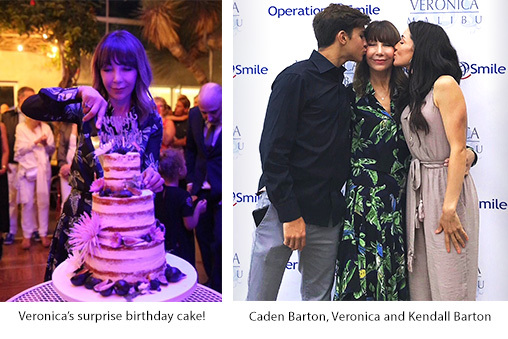 On my 70th we raised over $27,000 in our silent auction for Operation Smile. Thank you to everyone who donated to Operation Smile. A special thank you to Jennifer Naylor for her delicious food, Shamra and Brian Strange for the wine from Strange Family Vineyard, and Cindy Crawford for the Casimigos Tequila. Here’s to 70 candles!